training experience. 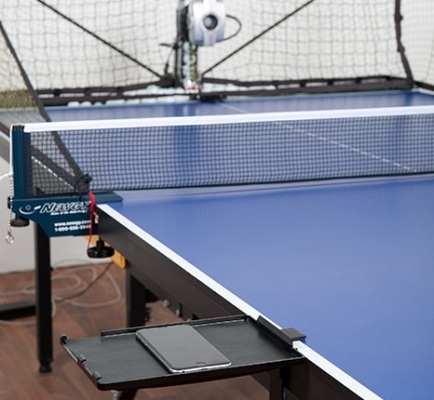 The life-like features enable you to perfectly simulate any opponent from the recreational player to the professional table tennis athlete. 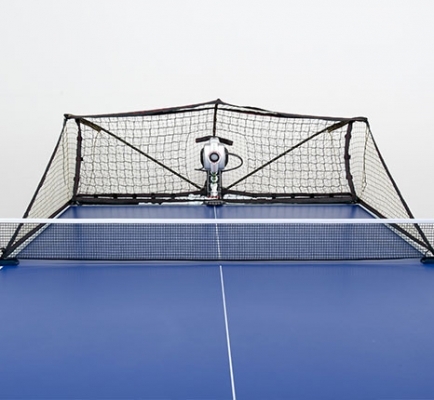 The head has a 2 wheeled ball thrower enabling the robot to seamlessly switch from backspin to topspin. 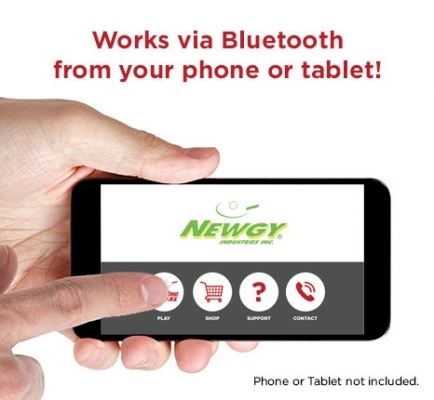 Easy-to-use Newgy APP and Bluetooth technology allows you to navigate easily with the simple touch of a button. 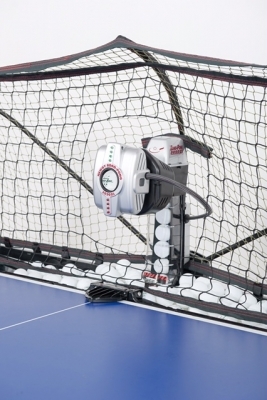 2-wheeled ball thrower (w/oscillation) - 2 throw wheels with independently programmed motors spin forward and/or backward to achieve true separation of spin and speed, while producing a wide variety and combination of spins. Integrated recycling net for continuous play. Delivery via DPD - ETA 3 to 5 days.